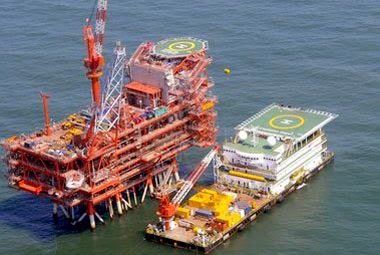 THE board of ONGC would be meeting in New Delhi tomorrow to finalise the second interim dividend to the government that has been facing a revenue crunch, and help it to meet the revised fiscal deficit target of 3.4 percent of GDP. March 23 to consider the interim dividend. ONGC had initially resisted a government demand for a second interim dividend, stating it did not have the surplus money after announcing an interim dividend of Rs 5.25 per equity share on February 14 and approving a Rs 4,022-crore share buyback. The PSU had argued that the existing regulations did not allow a company to declare a second dividend within a month of the previous payout and firms need to seek approval of market regulator Sebi to make such a payment. The government is likely to face a Rs 80,000-crore shortfall in direct and indirect tax revenues, which will make it difficult to meet a revised fiscal deficit target. The government has been tapping cash-rich PSUs for a second interim dividend. Earlier, Indian Oil Corp (IOC) has declared a second interim dividend of Rs 1,412 crore for the current financial year. It had stated in a stock exchange filing that its board had approved payment of Rs 1.50 per share, or 15 per cent, in second interim dividend for 2018-19. Coal India Ltd on March 14 declared a second interim dividend of Rs 5.85 per share. The government is grappling to meet the revised fiscal deficit target in view of the shortfall in GST collections. While presenting the interim budget for 2019-20, the government had revised upwards its fiscal deficit target to 3.4 per cent of the gross domestic product (GDP) for the current financial year from the previously estimated 3.3 per cent of GDP. The GST shortfall is likely to be around Rs 30,000-40,000 crore and a similar shortfall is expected in direct tax collections as well, sources said. In the current fiscal, direct tax collection is pegged at Rs 12 lakh crore (revised estimate). The government had originally budgeted to collect Rs 11.50 lakh crore in 2018-19 from direct taxes, which include corporate tax and personal income tax.